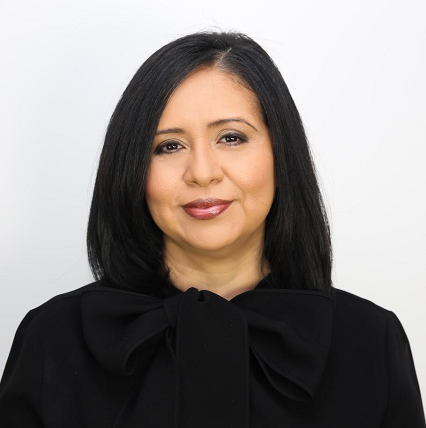 Washington, DC - The board of directors of Latin American Youth Center (LAYC) is pleased to announce the selection of Lupi Quinteros-Grady as the organization's next President and CEO. Lupi is currently the Managing Director of LAYC's Maryland Multicultural Youth Centers. "Among a competitive field of highly qualified candidates, Lupi emerged as the top choice because of her outstanding experience, leadership qualities, and deep knowledge of LAYC. She knows LAYC intimately as a former participant and is well respected in the organization and by the families that LAYC supports," said Betsy Brand, co-chair of LAYC's board of directors. Lupi's connection to LAYC began as a 14-year-old participant in LAYC's Summer Youth Employment Program (SYEP). Later, as a college student in her first position at LAYC, she served as program coordinator of SYEP. She has worked in the field of youth development for 19 years and has implemented a variety of programs such as Upward Bound, workforce programs, and AmeriCorps. She was appointed to the Maryland Governor's Commission on Service and Volunteerism from 2008-2010 and is a graduate of the Nonprofit Roundtable of Greater Washington's future executive directors fellowship program. In 2014, she was elected to represent District 2 on the Prince George's County, Maryland, Board of Education. She received a master's degree in bilingual and special education from the George Washington University and a Bachelor of Arts degree from Goucher College. She has been leading LAYC's Maryland sites since 2016. "I am honored to have the opportunity to serve as the next president and CEO of an organization that means so much to me personally as well as to our entire community," said Quinteros-Grady. "I can speak in the first person about the impact of LAYC's programs and staff on the youth we serve because LAYC played a critical role in my development. I am humbled to follow in the footsteps of Lori Kaplan, who has been a mentor to many and provided ground-breaking leadership for nearly four decades." Lori Kaplan said, "I am thrilled with this selection and believe it demonstrates LAYC's impact. Lupi knows LAYC well, and I'm confident in her ability to lead us into the future. As so many organizations are struggling to address racial equity issues, I am proud that LAYC will be led by a Salvadoran woman. She is the face, the heart, and the soul of LAYC and the keeper of our values." The organization's current president and CEO, Lori Kaplan, will step down on June 1, 2018, following LAYC's 50-year anniversary celebration in May. She has led LAYC to national prominence as an award-winning network of youth programs in Washington, D.C., and Maryland since 1987. Under Kaplan's direction, LAYC has helped guide thousands of low-income youth to better opportunity, while creating pioneering program models and public charter schools. "Lori has been a transformational leader for both LAYC and our community. The fact that Lupi started out as a participant and is now becoming president and CEO speaks volumes about Lori's legacy of leadership," said Betsy Brand. Latin American Youth Center's (LAYC) mission is to empower a diverse population of youth to achieve a successful transition to adulthood, through multicultural, comprehensive, and innovative programs that address youths' social, academic, and career needs. Since its founding in the late 1960s, LAYC has grown from a small grassroots recreation center to a nationally recognized agency serving all low-income youth. Each year, LAYC serves over 4,000 youth and families through youth centers, school-based sites, and public charter schools in the District of Columbia and Maryland's Prince George's and Montgomery Counties. The executive search firm LeaderFit worked with LAYC's board of directors on this search.